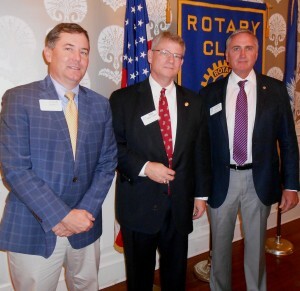 Capital Rotary member s Steve Searcy (left) and Mike Montgomery (center) have been honored by club president Tommy Gibbons for contributions to The Rotary Foundation, the international service club’s charitable corporation that funds programs for world understanding and peace. 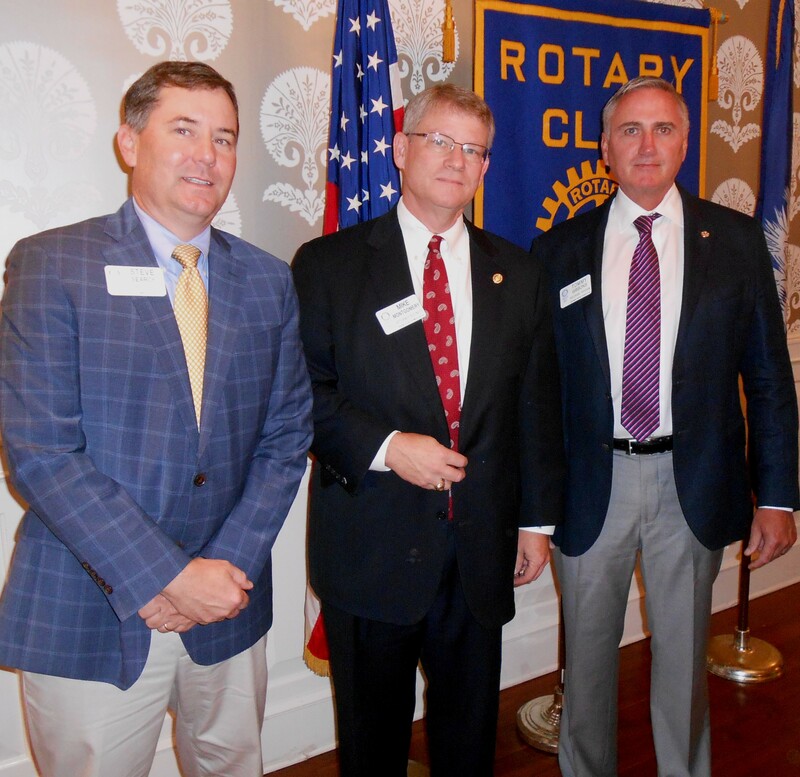 Montgomery is a Paul Harris Fellow plus-five donor, representing an initial $1,000 donation, plus five additional gifts of $1,000 each. Searcy is a plus-one Fellow, with an initial $1,000 donation followed by another for $1,000.